Opportunity to purchase unlimited additional single use passes at 50% discount of admission fee. Designated name of business, corporation or Patron will be listed on MLFH membership web page as Supporter Sponsor of membership drive. 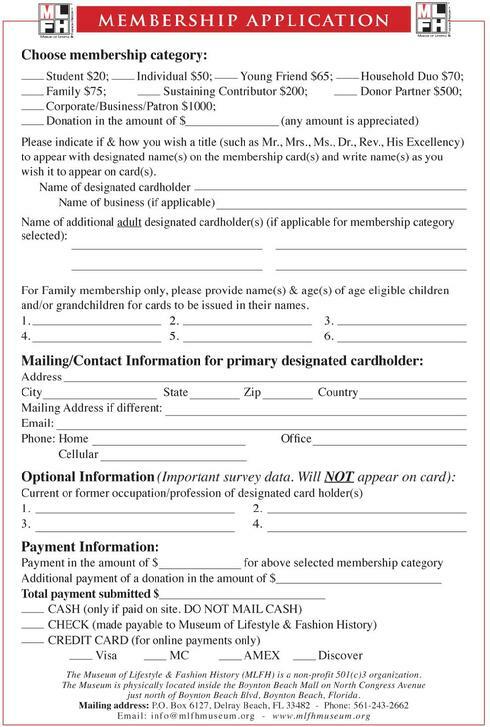 Name will appear throughout year of membership. 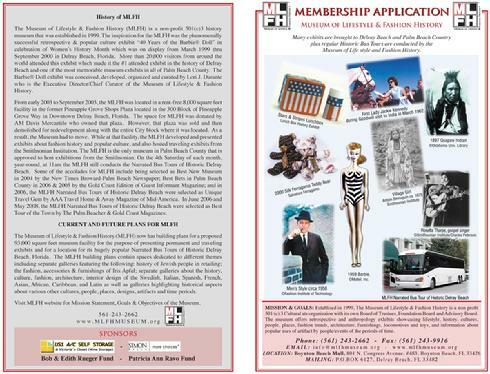 In addition to memberships support, please consider donations of cash, real estate and/or vintage items to the Museum of Lifestyle & Fashion History.